Jasper County is a county located in Southwest Missouri. As of the 2010 census, the population was 117,404. Its county seat is Carthage, and its largest city is Joplin. The county was organized in 1841 and named for William Jasper, a hero of the American Revolutionary War. Jasper County is included in the Joplin, MO Metropolitan Statistical Area.The Jasper County Sheriffs office has jurisdiction throughout the county. Before European contact, the area that today makes up Jasper County was the domain of the Osage Native Americans who called themselves the Children of the Middle Waters (Ni-U-Kon-Ska). This was probably because their dominion encompassed the land between the Missouri and Osage rivers to the north, the Mississippi River to the east, and the Arkansas River to the south. To the west were the Great Plains where they hunted buffalo. 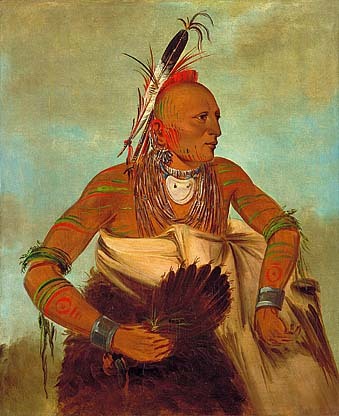 By the late 17th century, the Osage were calling themselves Wah-Zha-Zhe. In 1820, all of Missouri Territory was admitted to the Union as the state of Missouri and in 1831 Crawford County was carved out of the original Wayne. This new division covered all of the southern part of Missouri and included Jasper County in its boundaries. This alignment was also short-lived as in 1833 Greene County was split from Crawford County from the Niangua River west to the Kansas State Line. On January 5, 1835, a big piece was cut out of Greene County and organized as Barry County. In 1838 Barry County was divided into four parts called Barry, Dade, Newton and Jasper counties. At this time Jasper was not a full fledged county but was attached to Newton County and it would not be until 1841. On January 29, 1841 the Missouri Legislature enacted a bill authorizing the organization of Jasper County and was named in honor of Sergeant William Jasper, a hero in the American Revolutionary War. The Jasper County Court first divided the area into three townships: North Fork, Center Creek and Marion, but later it was divided into 15 townships which remain in an unincorporated status to the present time. A permanent county seat was chosen in March 1842 and designated by the name of Carthage. A one story single-room wooden structure with a large door in the south, was completed on June 29, 1842, and was located on the north side of the present public square in Carthage. This courthouse was later replaced by a larger two story brick & stone structure that was completed in 1854, which also functioned as the county jail. At the second term of the court held in October of the same year, attorneys Robert W. Crawford and John R. Chenault were cited for contempt and fined the sum of ten dollars for "fighting in the presence and view of said court during the said sitting." At the outset of the war Chenault, by then a circuit court judge, moved with his family to Texas. Following the Battle of Carthage, on July 12, 1861 Crawford was elected Lieutenant Colonel of the 13th Missouri Cavalry and 5th Missouri Infantry, both of the 8th Division, Missouri State Guard. After seeing action in the first battles of the war, Crawford moved his family to Texas; he then served as a recruiter for the Confederate Army in Missouri, a post he was nominated for by Waldo P. Johnson, formerly a United States Senator from Missouri in a letter dated October 24, 1862. By order of the Governor in 1865, the courthouse was relocated to the pioneer schoolhouse at Cave Springs (near present day La Russell, Missouri) with John C. Price of Mount Vernon appointed as the circuit court judge. Price later served as treasurer of the United States under President Buchanan. Other temporary locations within the county were later used over the next three decades until the current Jasper County Courthouse was constructed on the Carthage square in the mid-1890s. (Old) Sherwood 1846 1856 First called Rural and was located near present day Webb City. It was not rebuilt after being destroyed during the Civil War and no longer exists. According to the 2000 census, the county has a total area of 641.32 square miles (1,661.0 km2), of which 639.73 square miles (1,656.9 km2) (or 99.75%) is land and 1.59 square miles (4.1 km2) (or 0.25%) is water. President Barack Obama greets a tornado survivor on May 29, 2011 in Joplin, Jasper County Missouri. In the county the population was spread out with 27.17% under the age of 19, 7.4% from 20 to 24, 25.11% from 25 to 44, 22.24% from 45 to 64, and 12.14% who were 65 years of age or older. The median age was 35.1 years. For every 100 females there were 94.10 males. For every 100 females age 18 and over, there were 90.20 males. Missouri Southern State University - Joplin A public, four-year university. The Republican Party completely controls politics at the local level in Jasper County. Republicans hold every elected position in the county. Jasper County is divided into four districts in the Missouri House of Representatives, all of which are held by Republicans. District 126 – Mike Kelley (R-Lamar) Consists of the communities of Avilla, La Russell, Reeds, and Sarcoxie. District 127 – Tom Flanigan (R-Carthage) Consists of the communities of Alba, Asbury, Brooklyn Heights, Carl Junction, Carthage, Carytown, Fidelity, Jasper, Neck City, Oronogo, Purcell, and Waco. District 128 – Charlie Davis (R-Webb City) Consists of approximately a quarter of the city of Joplin, as well as all of the communities of Airport Drive, Carterville, Duenweg, Duquesne, and Webb City. District 129 – Bill White (R-Joplin) Consists of approximately three-quarters of the city of Joplin. All of Jasper County is a part of Missouri’s 32nd District in the Missouri Senate and is represented by Ron Richard (R-Joplin). All of Jasper County is included in Missouri's 7th Congressional District and is represented by Billy Long (R-Springfield) in the U.S. House of Representatives. ^ a b "State & County QuickFacts". United States Census Bureau. http://quickfacts.census.gov/qfd/states/29/29097.html. Retrieved September 9, 2013. ^ "Osage". Oklahoma Historical Society's Encyclopedia of Oklahoma History and Culture. http://digital.library.okstate.edu/encyclopedia/entries/O/OS001.html. Retrieved March 2, 2009. ^ "Today in History: January 29th". Library of Congress. http://lcweb2.loc.gov/ammem/today/jan29.html. ^ "History of the Osage". rootsweb.ancestry.com. http://ftp.rootsweb.ancestry.com/pub/usgenweb/ok/nations/osage/history/hstryosg.txt. ^ "Osage Culture". Minnesota State University. http://www.mnsu.edu/emuseum/cultural/northamerica/osage.html. ^ Eaton, David Wolfe (1916). How Missouri Counties, Towns and Streams Were Named. The State Historical Society of Missouri. pp. 178. http://books.google.com/books?id=RfAuAAAAYAAJ&pg=PA178#v=onepage&q&f=false. ^ The History of Jasper County, Missouri: Including a Condensed History of the State, a Complete History of Carthage and Joplin, Other Towns and Townships. http://books.google.com/books?id=TtEyAQAAMAAJ&printsec=frontcover&source=gbs_ge_summary_r&cad=0#v=onepage&q&f=false. ^ "Civil War Moments: Missouri to hold secession convention", Springfield News Leader, March 7, 2011. ^ List of Field Officers, Regiments and Battalions in the Confederate States Army, 1861-1865. http://books.google.com/books?id=eBUTAAAAYAAJ&printsec=frontcover&dq=List+of+Field+Officers,+Regiments+and+Battalions+in+the+Confederate+States+Army,+1861-1865&hl=en&sa=X&ei=Aw0aVPKuLMKtyATW74GYBQ&ved=0CCoQ6AEwAA#v=onepage&q=List%20of%20Field%20Officers%2C%20Regiments%20and%20Battalions%20in%20the%20Confederate%20States%20Army%2C%201861-1865&f=false. ^ Waldo P. Johnson letter (October 24, 1862), Miscellaneous Correspondence, Peter W. Alexander Collection, Columbia University: C. F. Jackson letter, October 24, 1862, Miscellaneous Correspondence, Peter W. Alexander Collection. ^ Confederate Tales of the War in the Trans-Mississippi Part One: 1861 edited by Michael E. Banasik. http://books.google.com/books?id=nm5j3artdy4C&printsec=frontcover&source=gbs_ge_summary_r&cad=0#v=onepage&q&f=false. ^ The Biographical Record of Jasper County, Missouri by Malcolm G. McGregor. http://books.google.com/books?id=EH0UAAAAYAAJ&printsec=frontcover&source=gbs_ge_summary_r&cad=0#v=onepage&q&f=false. ^ A history of Jasper County, Missouri, and its people, Volume 1 By Joel Thomas Livingston. http://books.google.com/books?id=CX0UAAAAYAAJ&pg=PA315&sig=eeT7KRhZkVbIuXYZMH4gv3EEWAU&hl=en#v=onepage&q=&f=false. ^ "M.A. Thesis "Place Names In The Southwest Counties Of Missouri" by Robert Lee Meyers, University of Missouri-Columbia, 1930". http://whmc.umsystem.edu/exhibits/ramsay/ramsay_jasper.html. ^ ""Directory of Towns, Villages, and Hamlets Past and Present of Jasper County, Missouri" compiled by Arthur Paul Moser". http://thelibrary.org/lochist/moser/jasperpl.html. ^ Staff (2012-11-19). "2012 Missouri Presidential Results". Politico. http://www.politico.com/2012-election/results/president/missouri/. Retrieved 3 August 2014.